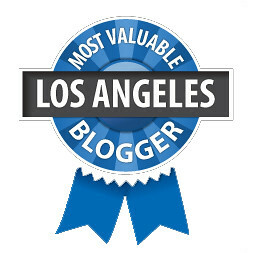 Starting today I’m no longer blogging for Los Angeles Magazine’s Digest blog! Nope. Because now you’ll be able to find my drink posts on the magazine site’s brand-new booze-dedicated blog, Liquid LA! Fitting that it launches on an alcoholiday, no? I’ll be covering the cocktail beat while craft beer guru and fellow LA Mag blogger Randy Clemens will cover the beer scene. Garrett Snyder, formerly of Tasting Table LA, will be overseeing us. We’ll have a wine section but who’s doing that is still TBD. I’m also upping my coverage from my usual twice a week to three times a week so if there’s anything you think I should check out, let me know in the comments! The blog has a dedicated “Essential Cocktails” section that highlights the must-have classic cocktail recipes from some of the best in the biz, a recipes area on the sidebar and a bar finder search engine. I’m so excited about drinking more for research expanding my coverage of the L.A. cocktail scene and keeping you up to date on all good drinkable things! Cheers y’all! from digest to digestif (& then some); congrats! Can’t wait to see your LA Spirits Expo coverage.